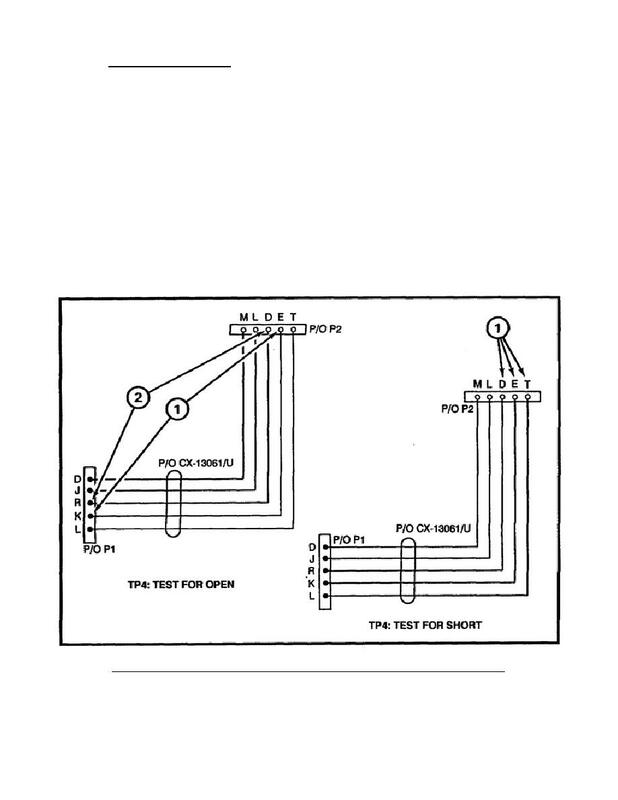 Home > Communication Systems Reference and Training Manuals > > Figure 91. RT Modulation circuit, no voice sidetone (TP4). Figure 90. RT Modulation circuit, no voice sidetone (TP3). open or short (Figure 91). from P2 pin E to P1 pin K and P2 pin D to P1 pin R.
If either measurement is infinity, the CX-13061/U is bad (open). short at P2 pin E to P2 pins D and to shield. If infinity is measured, the J-3513/U is bad. RT MODULATION circuit, no voice sidetone (TP4).